How to access my purchased publication? 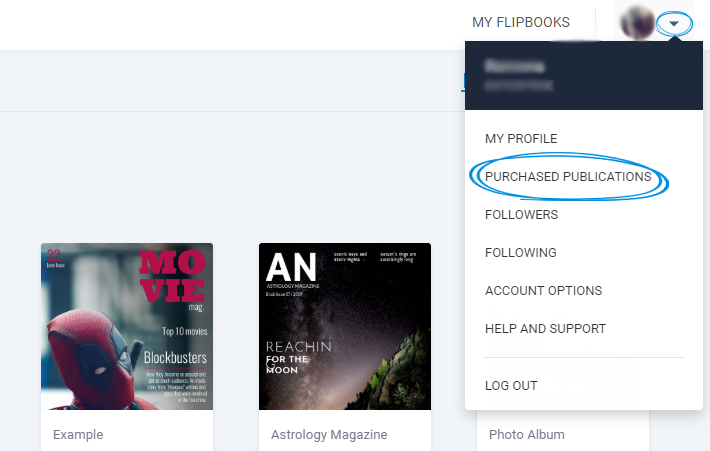 If you already have an account with Flipsnack, all purchased magazines will appear in your Flipsnack account in Purchased Publications, on the left side of your screen. You can also find your purchased publications in the account menu in the upper-right corner of the page. 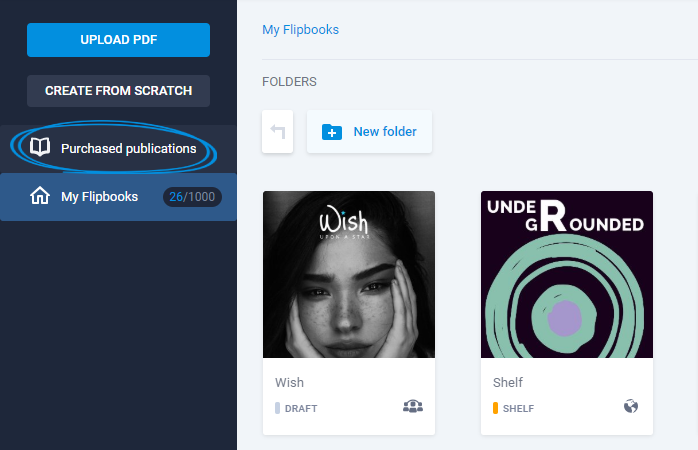 In case you have just purchased a digital publication on Flipsnack, but you are not a Flipsnack user, a new account will be automatically generated in the purchasing phase, with the email address provided. Please keep in mind that in order to access your new Flipsnack account, you will have to open the confirmation email received in your Inbox, where you will be asked to set a password for your new account. Then, you will be able to access the purchased publications on the Flipsnack page, in Purchased publication. Important: Please keep in mind that our website was not developed with mobile devices in mind so we recommend you read your purchased publications on a desktop or laptop device.